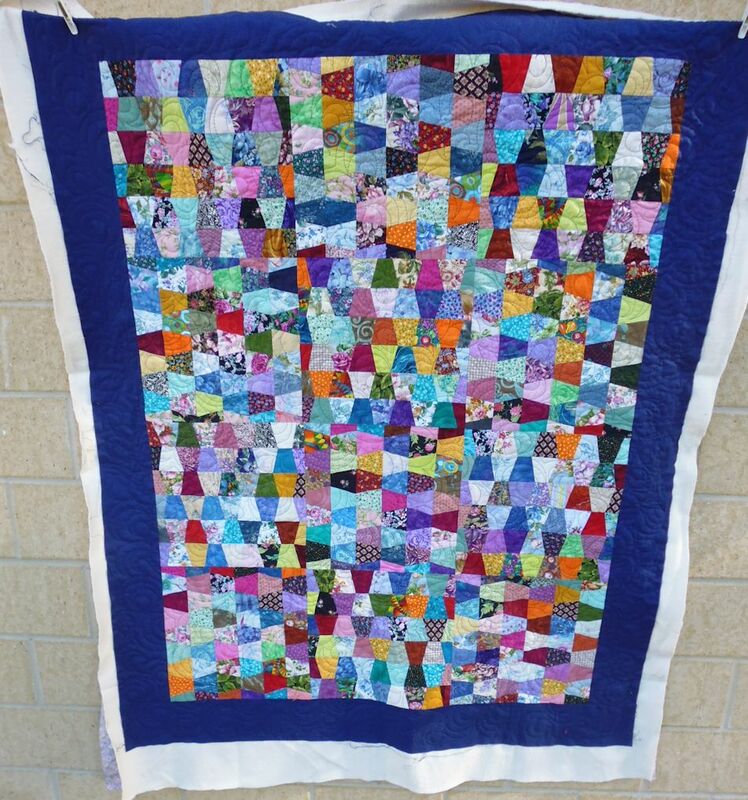 Another scrappy quilt. 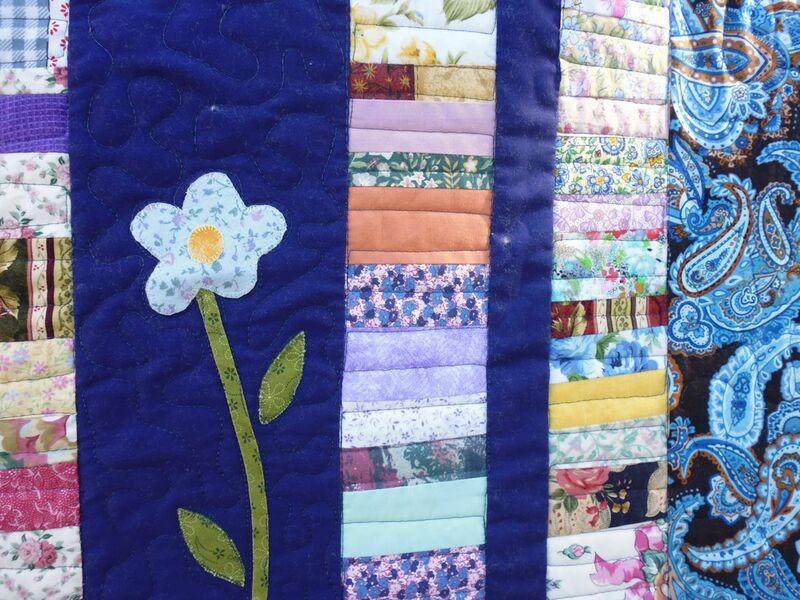 The ‘busy-ness’ of the fabrics meant a simple stitching motif, so I chose ‘open headbands‘, which is a muscle-memory motif for me — I think I could do it in my sleep! 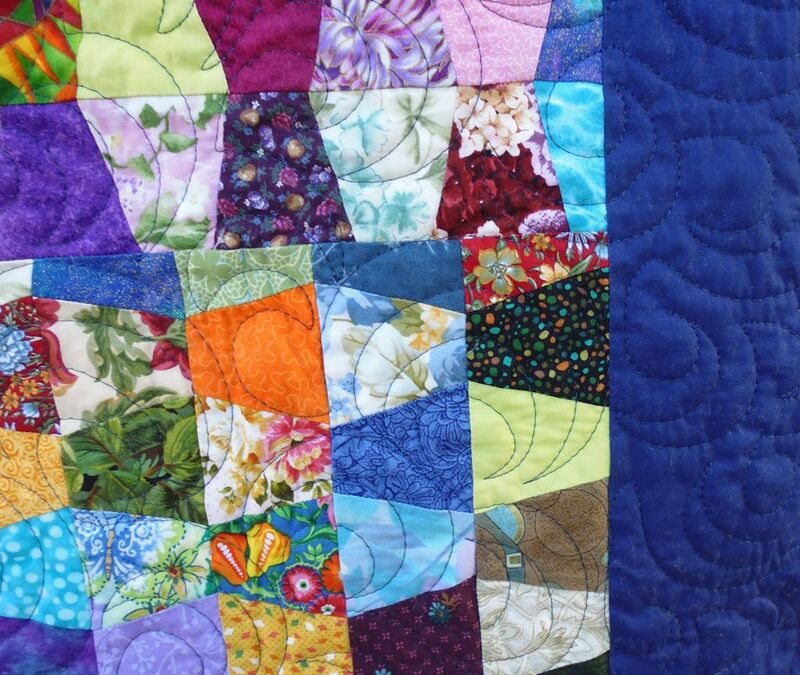 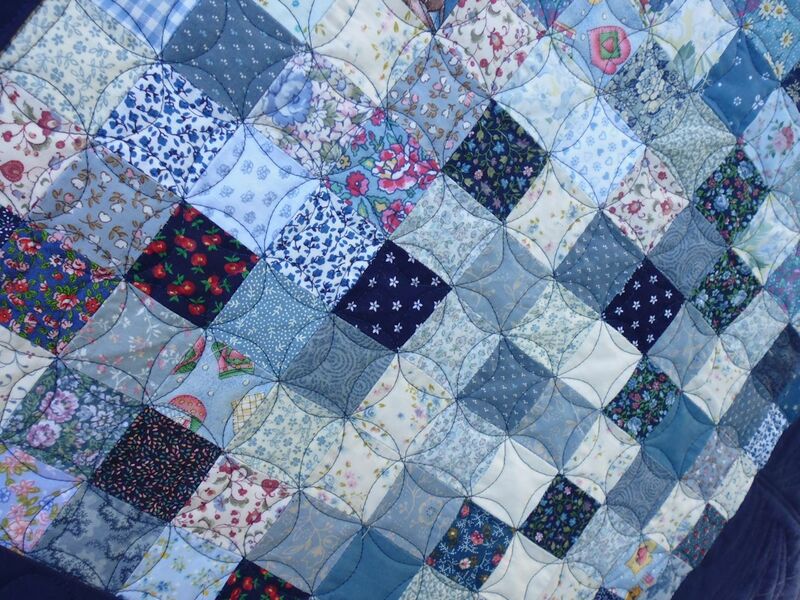 Another predominantly blue scrappy quilt. 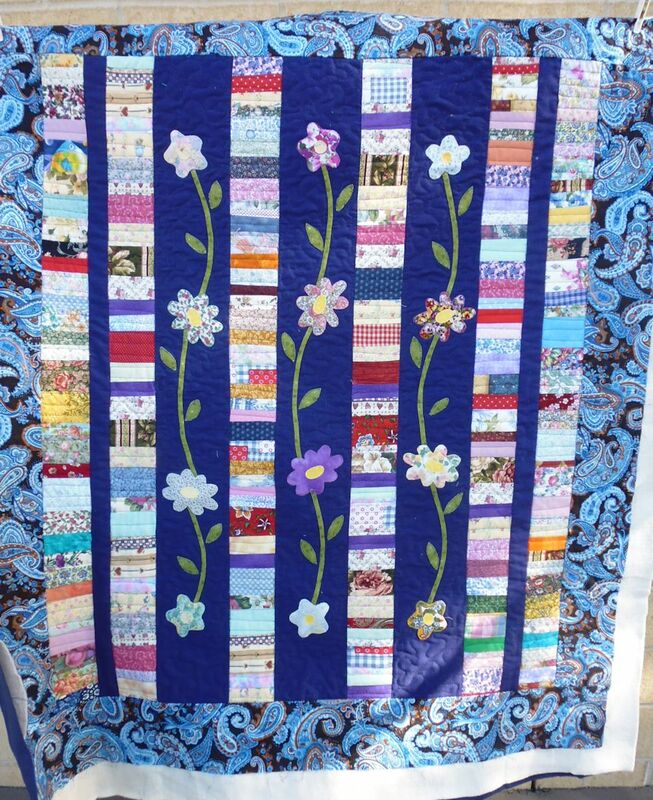 I stitched ‘piano keys’ in the ‘Chinese coin’ strips, a medium stipple in the backgrounds for the flowers, and a large meandering stipple in the border. 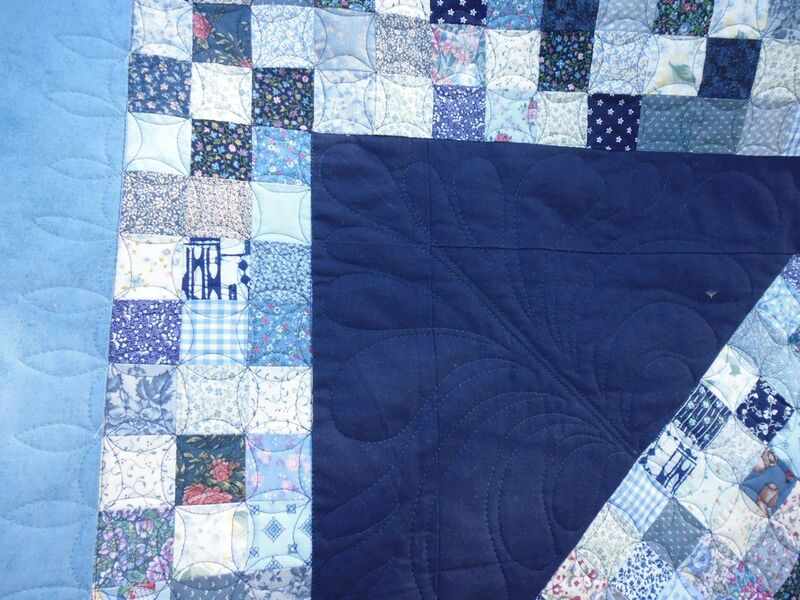 How to quilt this blue scrappy quilt? 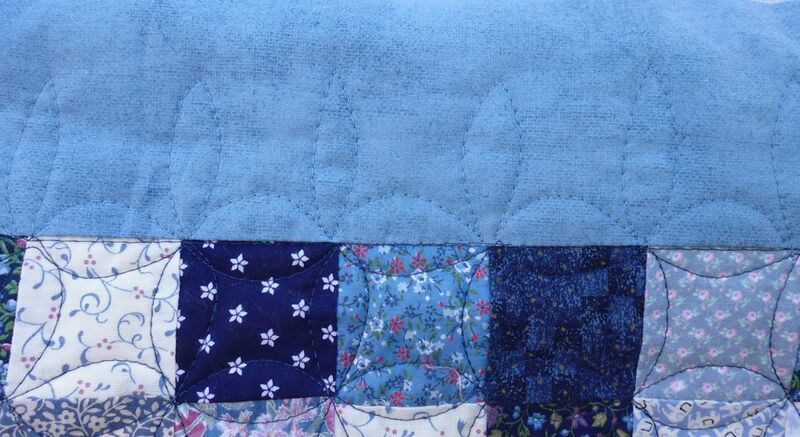 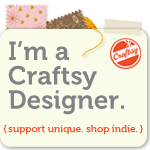 The squares were easy — a cathedral window motif, which I echoed in the light blue border too. 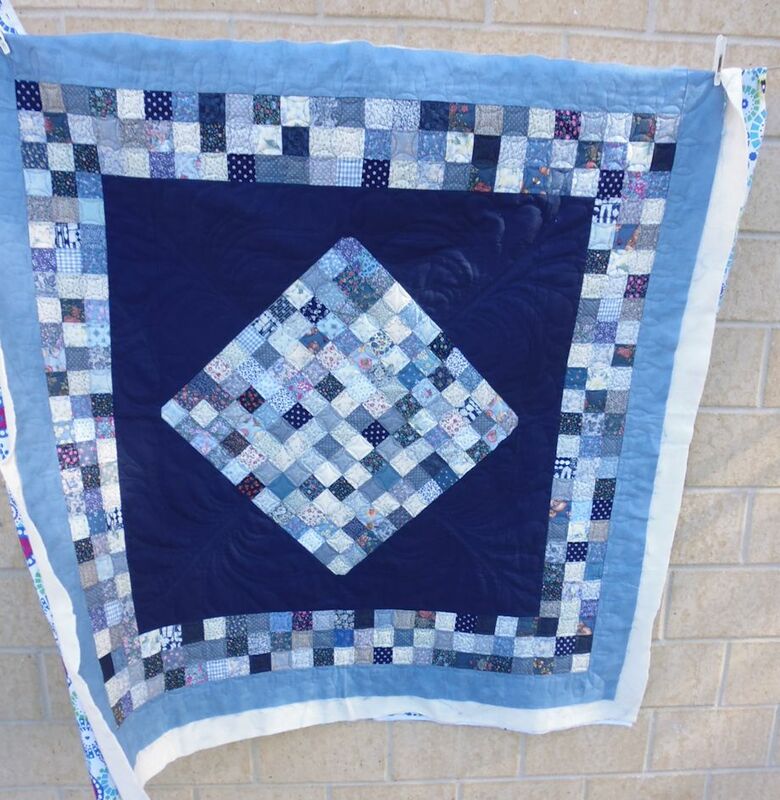 For the large setting triangles (in navy), I free-motion stitched a large feather motif.